COLOMBIA. 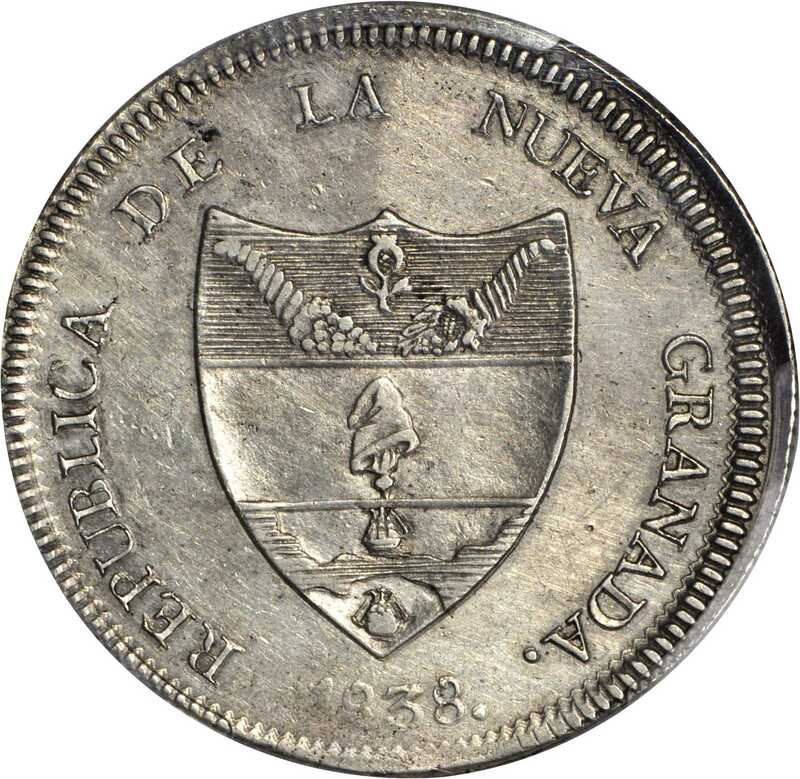 1838-RS 8 Reales. Bogotá mint. Restrepo 193.2. AU-50 (PCGS).The only example known or rumored to exist. Lustrous light silver gray with attractive surfaces and positive eye appeal. Details are sharp, in part due to the multiple strikes whose evidence is best seen around the peripheral legends. The first two date digits are a bit soft, but the last two are very bold. Both sides show scattered hairlines, but no notable marks or defects. Any comment on the quality of this coin is irrelevant considering its remarkable rarity: it is the only extant specimen. No collection of Colombian coins, world crowns, or Latin American 8 Reales can be complete without it, and the relative scarcity of the only other date of this type magnifies its importance. A landmark and a prize.